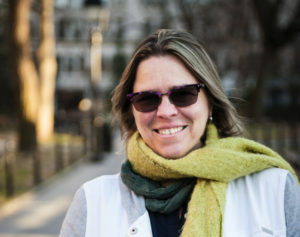 In addition to her role as Director of the Center for Media, Culture, and History, Faye Ginsburg is David Kriser Professor of Anthropology, founding and ongoing Co-director of the Center for Religion and Media, founder of the interdisciplinary Graduate Program in Culture and Media, and founding Co-Director of the NYU Council for the Study of Disabilities. Her work over the years as a filmmaker, writer and curator has focused on movements for social transformation, and the key role played by cultural activists in these processes, from her multiple award winning book, Contested Lives: The Abortion Debate in an American Community, to her several edited collections on reproduction and gender, to her groundbreaking collection, Media Worlds: Anthropology on New Terrain, to her forthcoming book, Mediating Culture: Indigenous Media in a Digital Age. 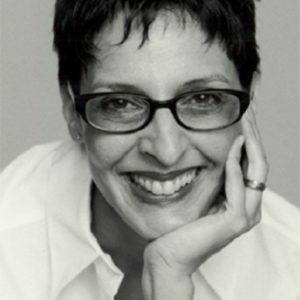 She is a recipient of numerous awards for her work including research support and Fellowships from the MacArthur, Guggenheim, Spencer, Rockefeller and Ford Foundations, as well as support from the Pew Charitable Trusts for the inauguration of the Center for Religion and Media. She is currently working on research on Cultural Innovation and Learning Disabilities. Dr. Ginsburg is also a Vice-President of the Dysautonomia Foundation.